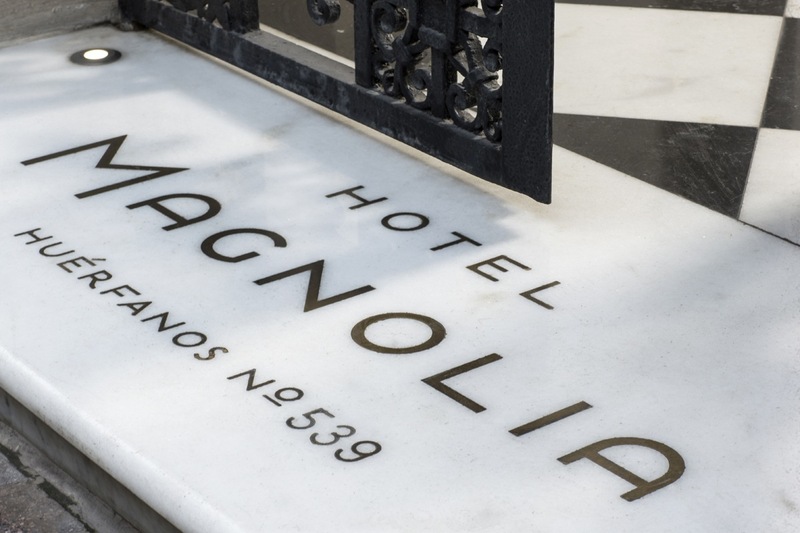 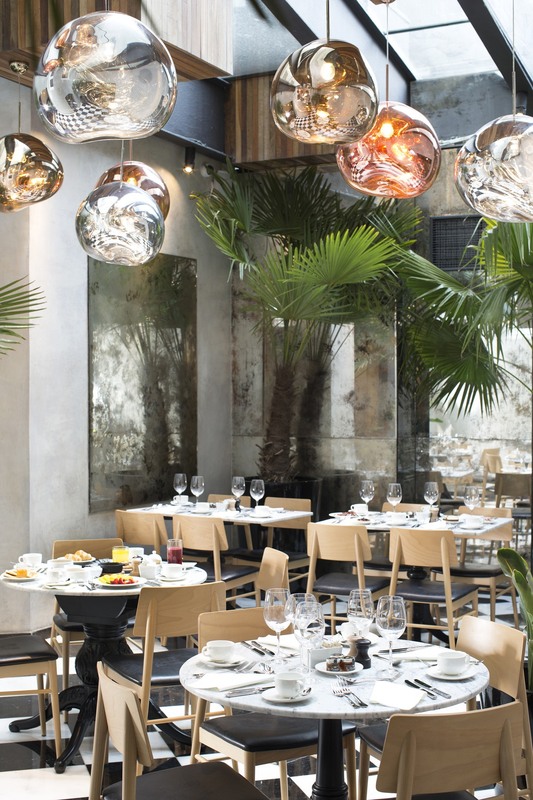 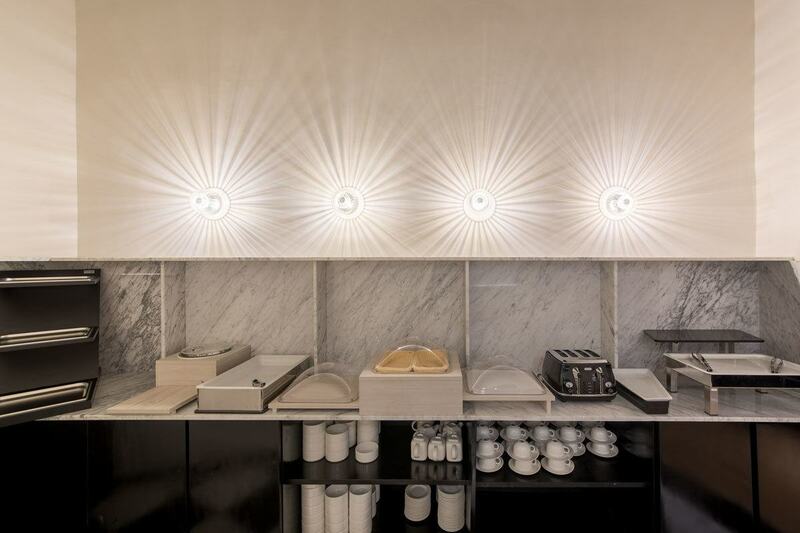 HomeBlogArchitectureHotel Magnolia: Α Blend of Past and Present. 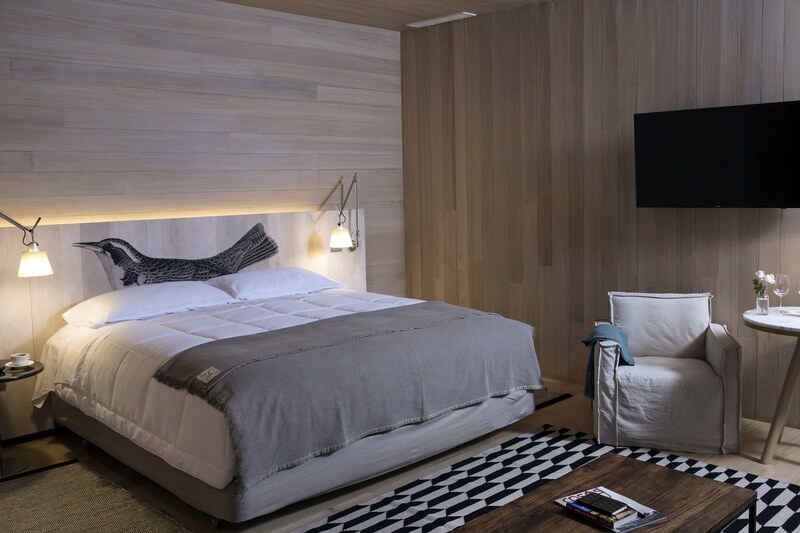 After a meticulous renovation from a mansion constructed in 1929, Hotel Magnolia first opened its doors in June 2016. 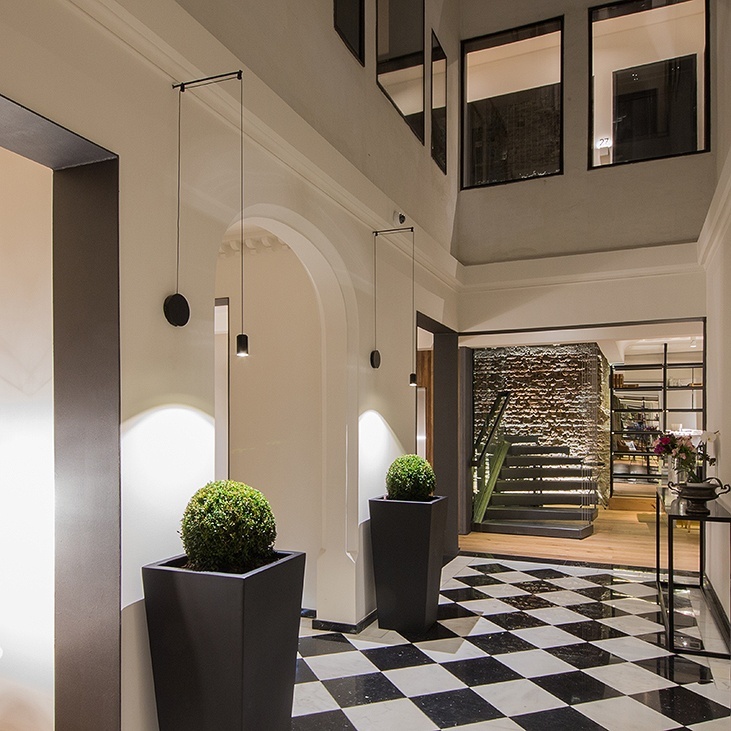 One could say that this hotel is an urban monument, a wonderful aesthetical journey between the past and present of the city. 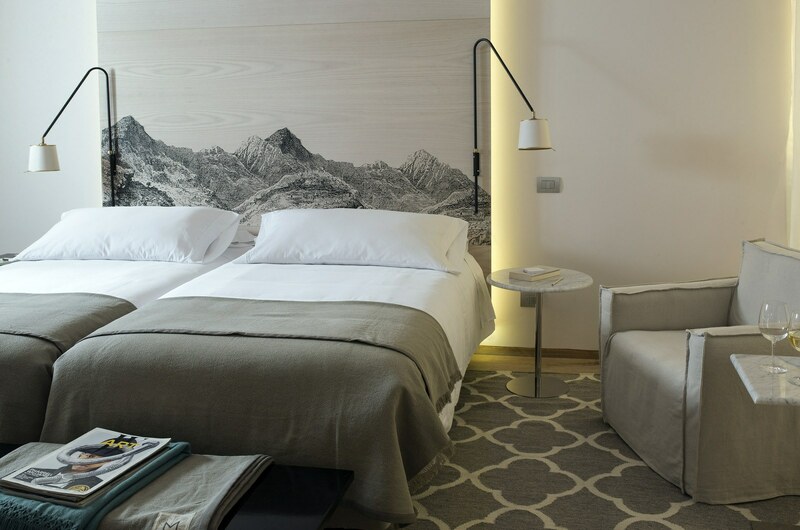 It is a boutique hotel, consisting of 42 rooms offering luxury accommodation, a gourmet restaurant and a beautiful roof garden offering views of both the city and the surrounding mountainous landscape. 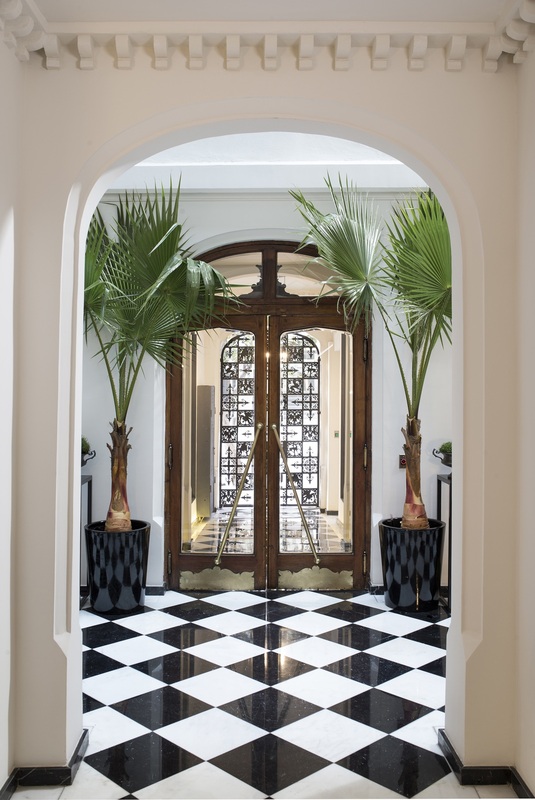 The building itself dates back to 1929 when it was built as a mansion for a wealthy political family. 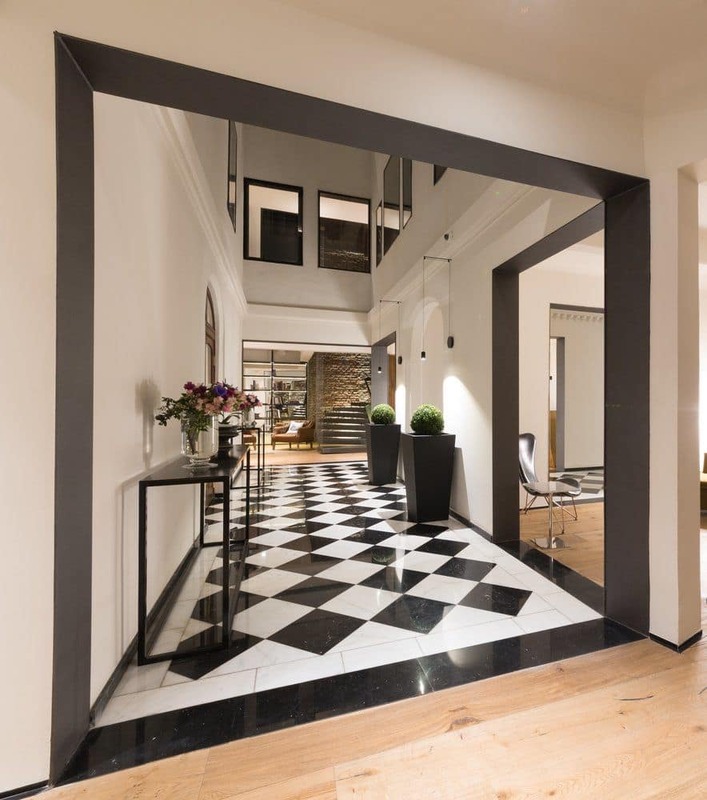 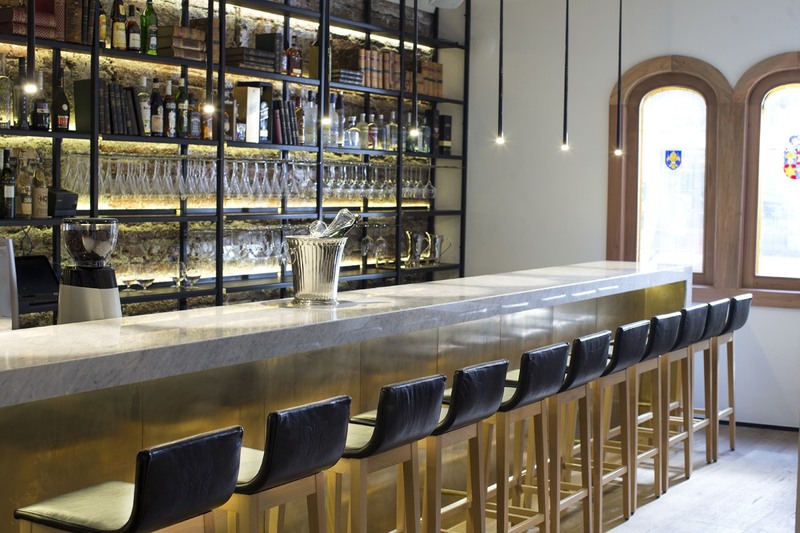 Later it was converted to an apartment and office block, before finally being refurbished by award-winning architect Cazú Zegers and interior decorator Carolina Delpiano into an exciting boutique hotel. 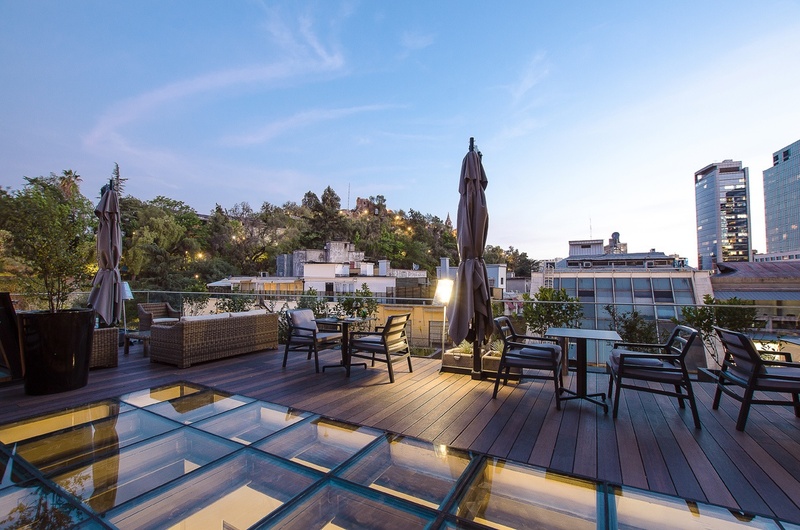 The hotel is perfectly located at the foot of Cerro Santa Lucía, an ideal spot that allows the visitor to enjoy all the city has to offer. 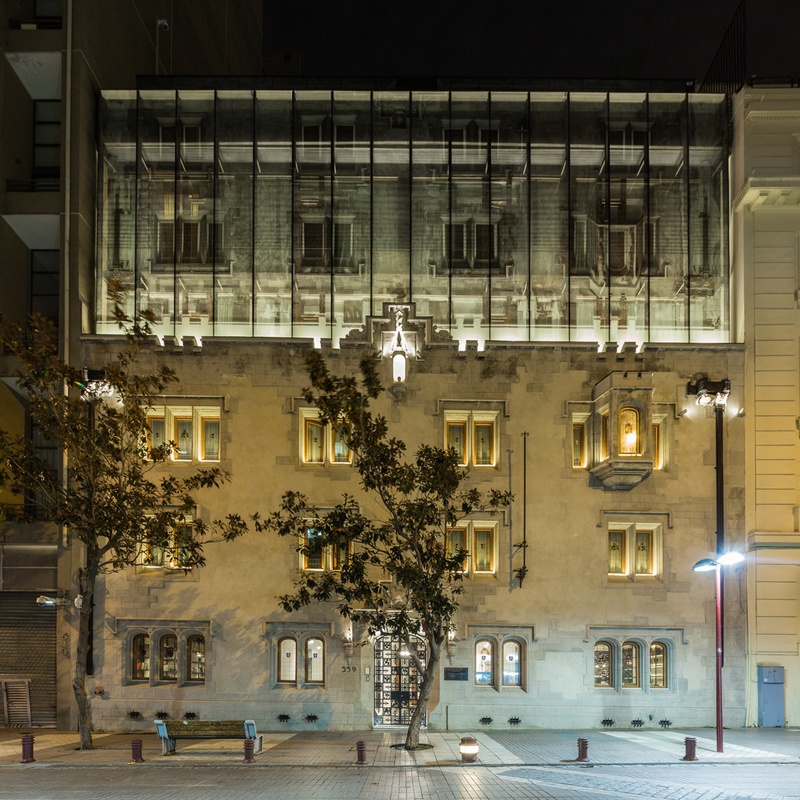 Architect Cazú Zegers, who coincidentally is a descendant of the original building’s owners, undertook the exterior design of the façade, and the expansion of the building. 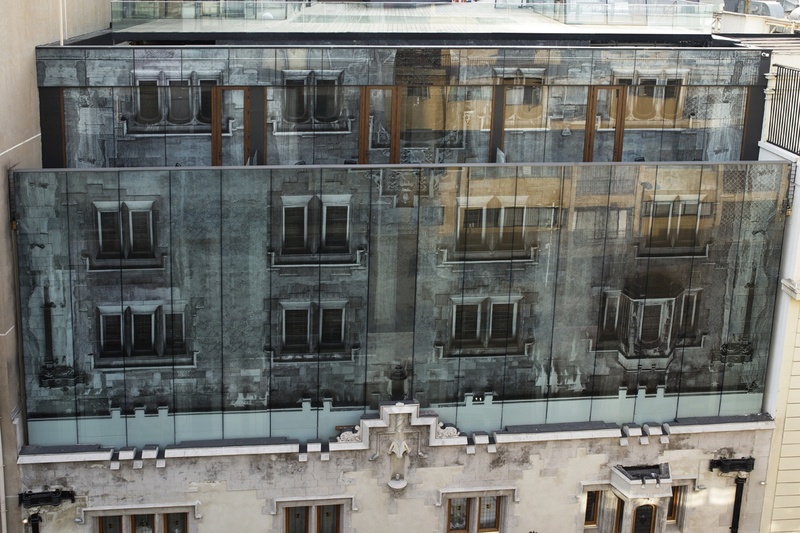 Three new floors were added to the existing 3-story building along with the new rooftop terrace that offers exciting panoramic views and a perfect relaxation spot. 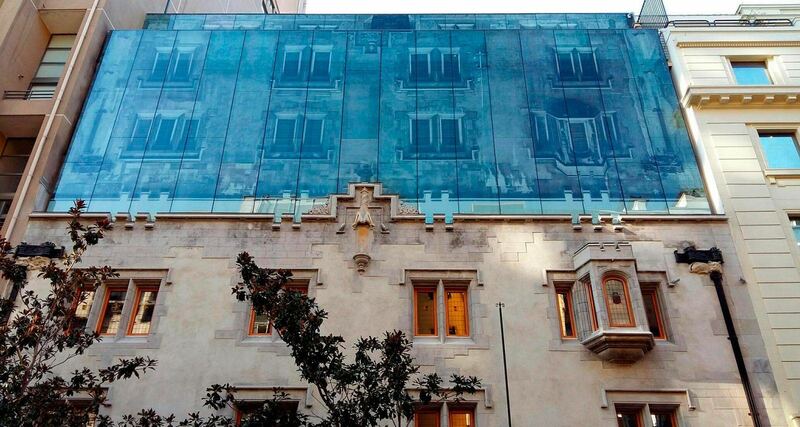 The façade of the hotel’s upper floors was constructed using modern materials. 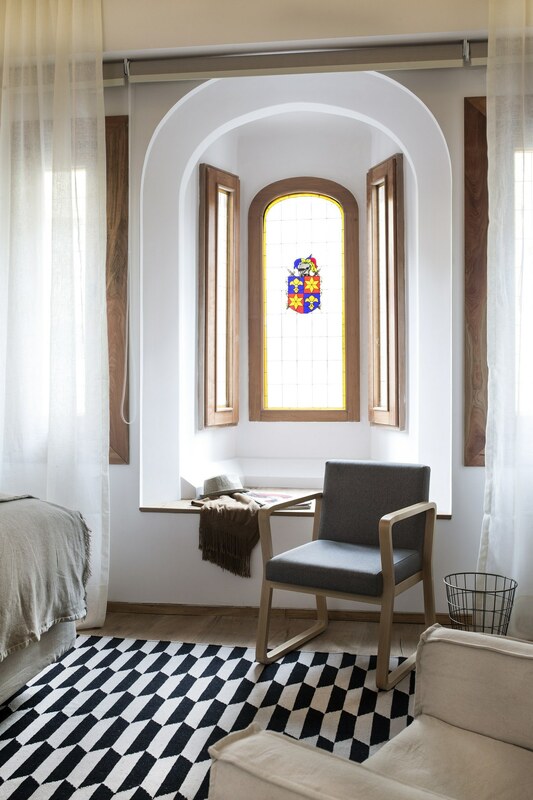 Yet in order to blend with the aesthetics of the historic mansion it reproduces the cut stone of the original building imprinted on the glass cladding of the curtain wall. 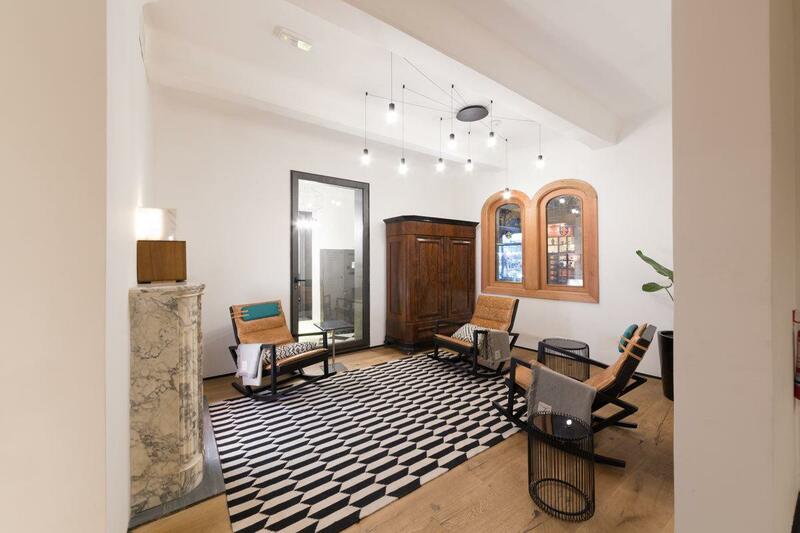 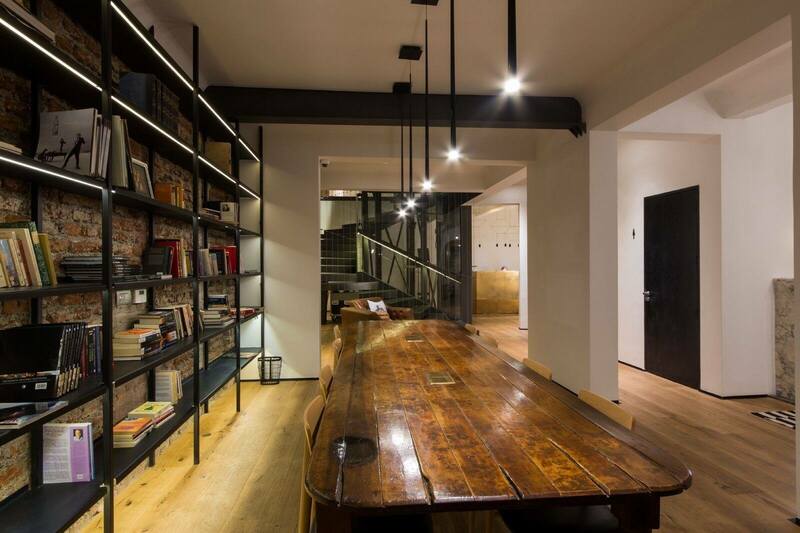 The exact same design philosophy where “old meets new” was applied to the interior design. 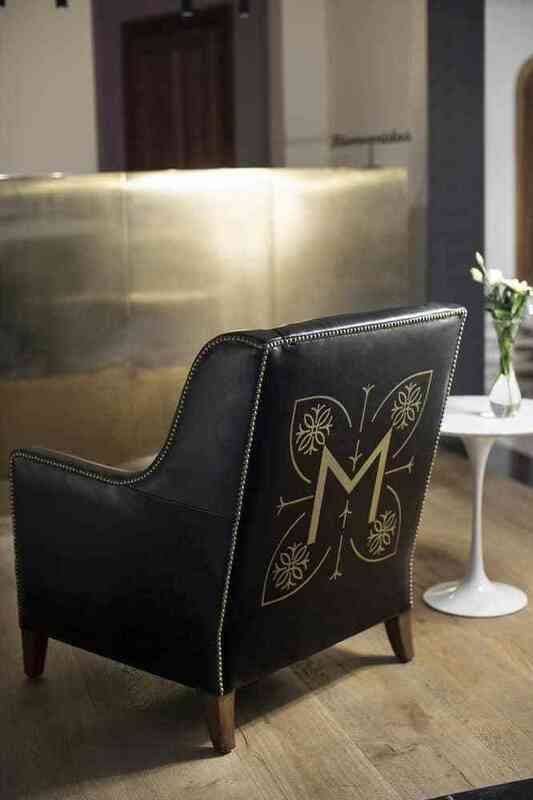 Classic leather armchairs are matched with ultra-modern lighting elements, traditional flooring is matched with minimalist furniture pieces, and modern materials are blended perfectly with vintage elements. 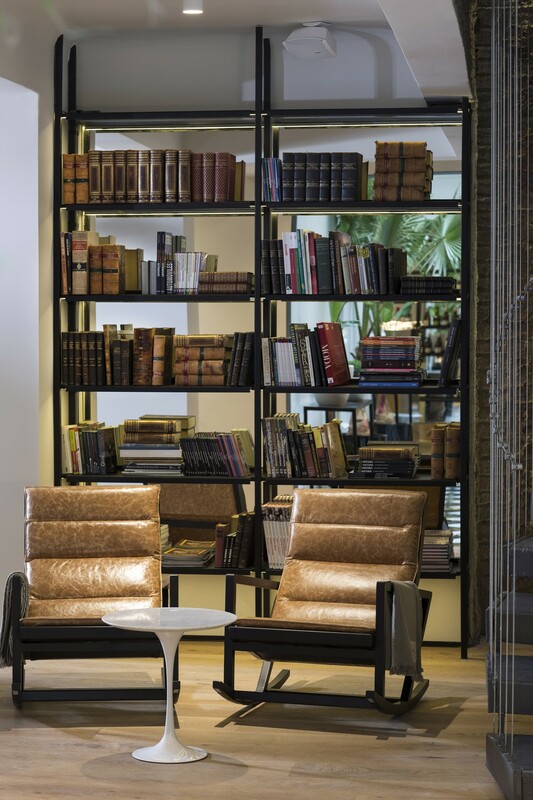 Every part of the hotel is filled with exquisite details that underline the contrast of old and new. 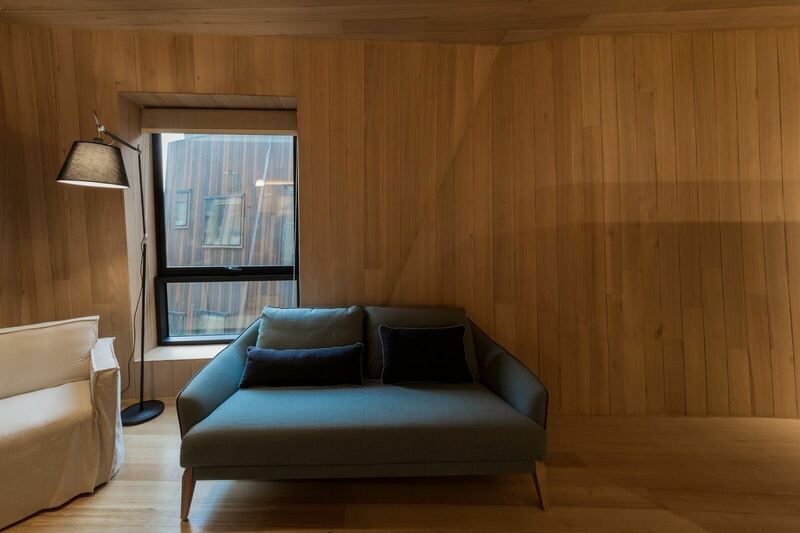 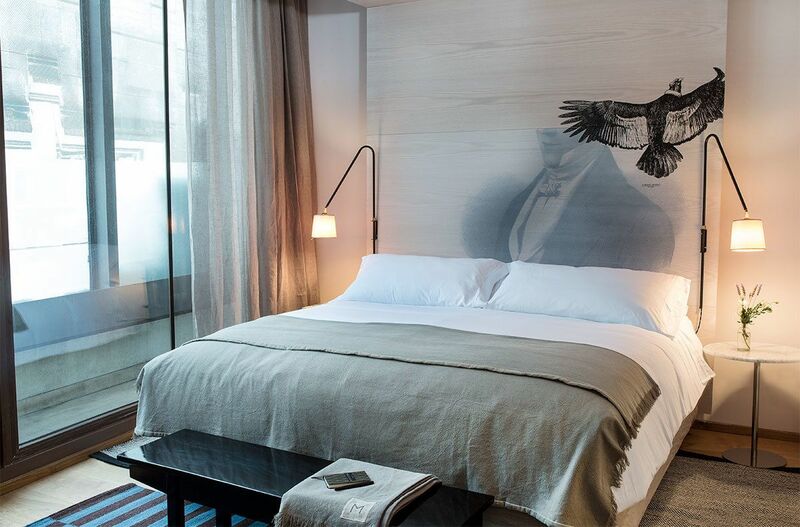 Such as the beautiful vitro glass windows on some rooms, contrasting the digital prints on the headboards of the beds. 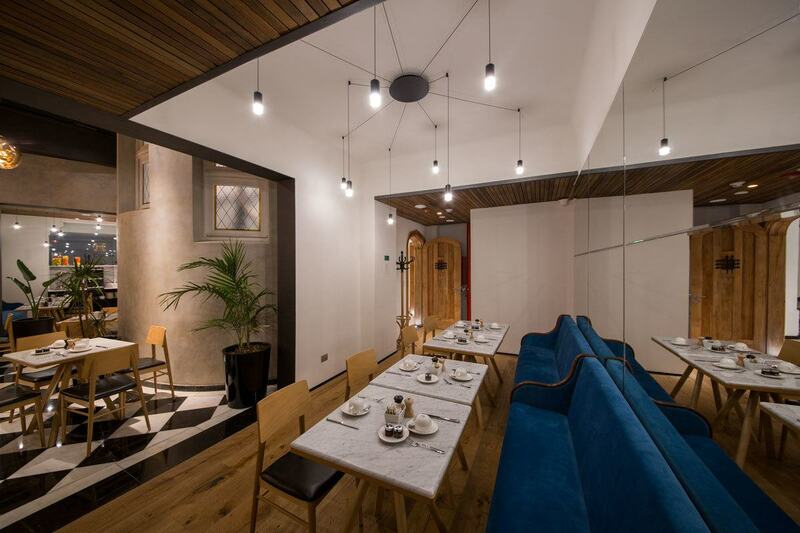 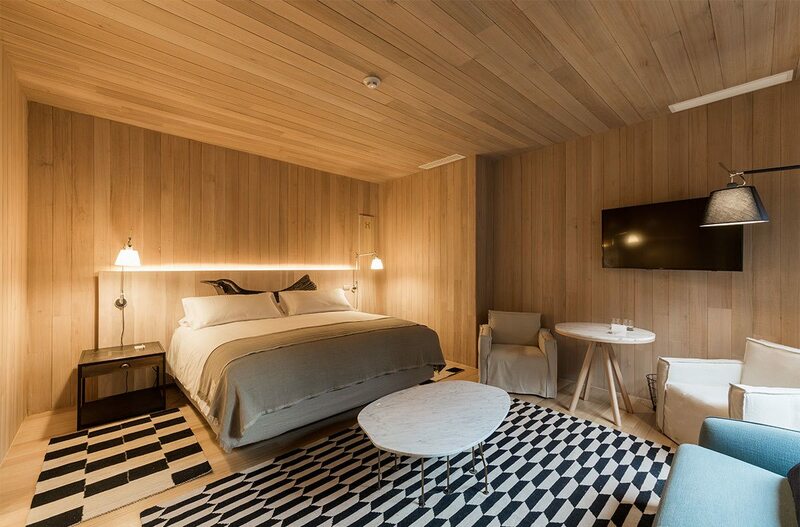 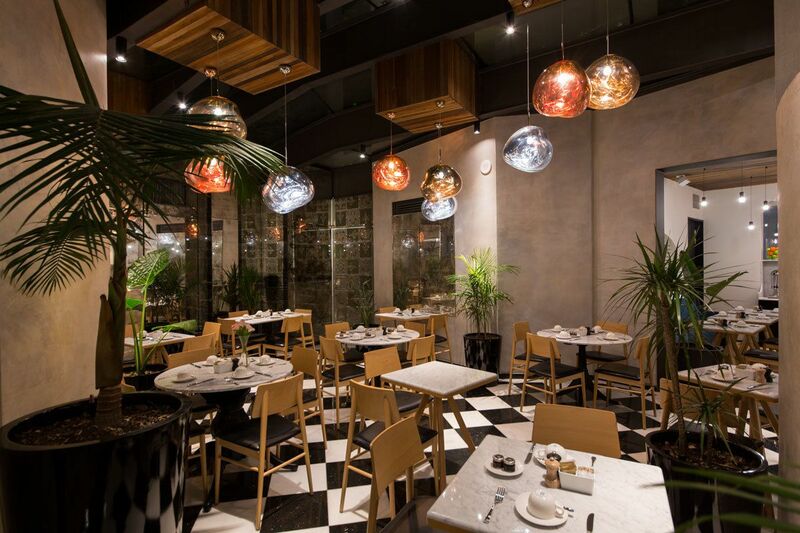 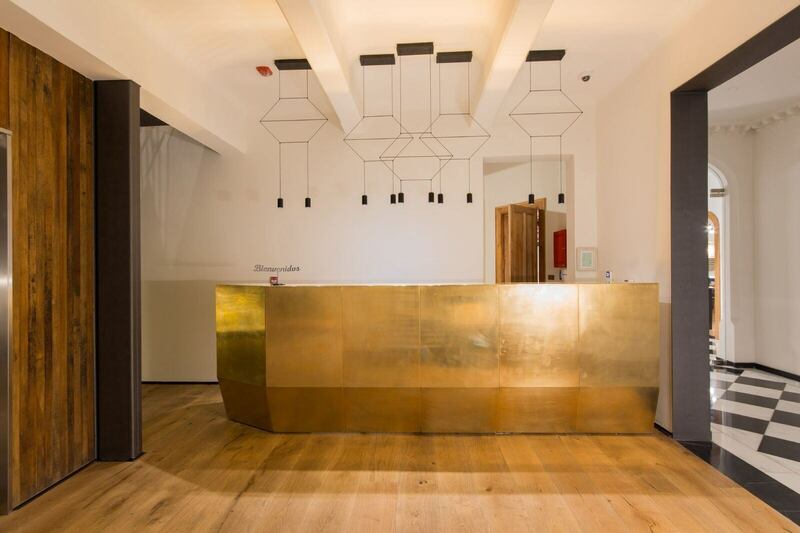 The design of Hotel Magnolia is a dialogue between the traditional architecture of Santiago’s caso antiguo and the contemporary design language of glass, premium materials and recycled elements, such as the original floor boards which are now used to clad the hotel corridor’s walls. 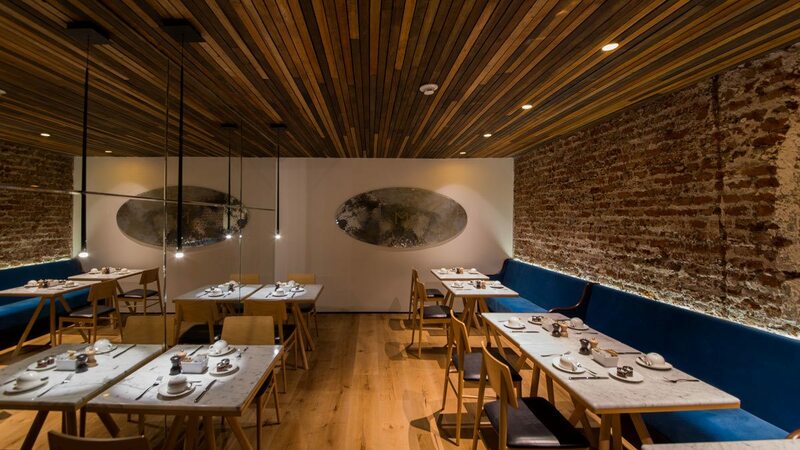 This is the beauty and the defining component of the project, it draws upon the recent history and traditions of Chile and gradually transforms into a modern establishment fully integrated into our contemporary world.